Picturesque Slovenia is a small country in Central Europe, often treated as drive-through territory by travelers heading to better-known places at the Adriatic coast or Italy. The first of the former Yugoslavian states to join the EU, the country is a progressive, forward-thinking nation and its people are welcoming to visitors. The country measures 7,827 square miles (similar in size to Israel or the US state of Massachusetts ) and is bordered by Austria to the north, Hungary to the northeast, Croatia to the south and southeast, and Italy to the west. Slovenia has two million inhabitants with an overall population density of 97 per square kilometer. The vast majority are ethnic Slovenes, while Hungarians and Italians constitute significant groups and have the status of indigenous minorities under the Slovenian Constitution. Although very small, has a very diverse landscape. 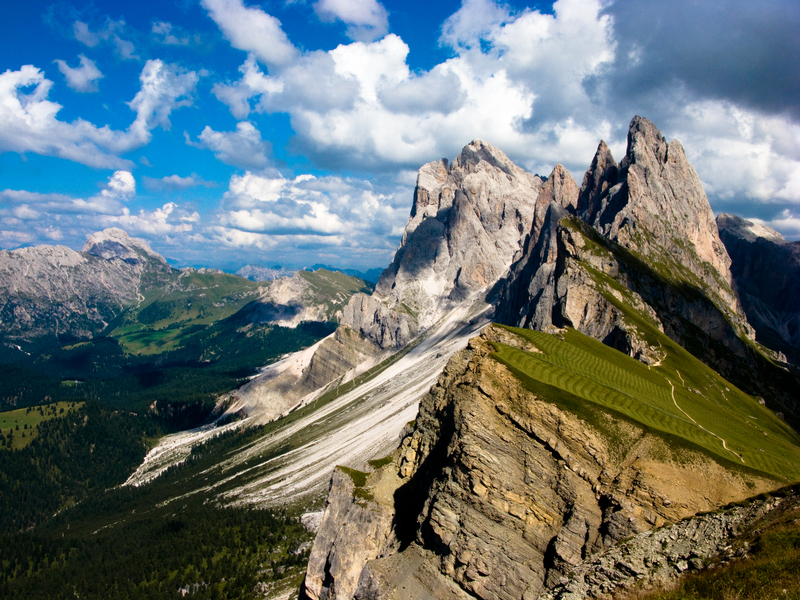 From snow-capped peaks, mountain lakes and famous caves to lush forests, turquoise-green rivers and Adriatic coastline. 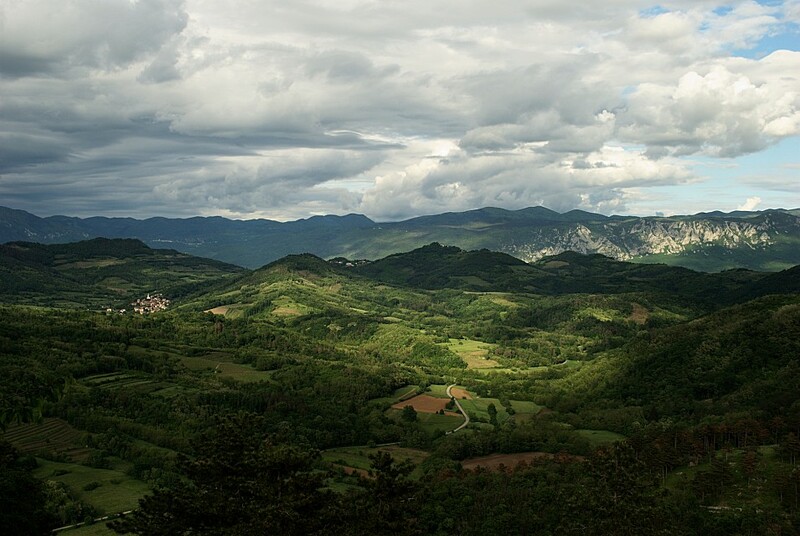 Only an hour's drive from the capital, Ljubljana, you can either climb the mountains or swim in the Adriatic sea. The country’s natural beauty is complimented by a rich culture and history. From the quaint, fortified fishing village of Piran, the cosmopolitan country's capital Ljubljana, to the medieval castles and charming countryside towns. However, the most famous natural beauties for tourists are lakes Bled and Bohinj, Postonja Cave and Lipica Stud Farm. Slovenia is also known to have some of the best spa resorts in the area - from thermal baths to wellness centers. Slovenia offers things to do year-round so the best time to visit depends on what you plan to do during your stay. With many hiking trails and attractive ski resorts, it is the perfect place for sports and recreation. If you want to avoid the crowds, visit the country in May, June or September, when it should be warm enough to wander around and off-season rates will start coming into effect. The country started using the Euro in January 2007. ATMs and credit card facilities are widely available; you can swipe your card almost anywhere, including at gas stations. The area of the present-day country and its surrounding borders has been settled since the Paleolithic age. The ancestors of today's Slovenes arrived from the Carpathian Basin in the 6th century and settled in the Drava, Sava and Mura river valleys and the eastern Alps. In the tenth century, Slovenia fell under the control of the Holy Roman Empire and was reorganized as the duchy of Carantania by the Holy Roman Emperor Otto I. For over 1,000 years, Slovenes lived mostly under Austrian Hapsburg Empire rule. They ruled what is now Slovenia from the early 14th century until 1918, apart from a brief interlude between 1809 and 1813 when Napoleon created six 'Illyrian Provinces' from Slovenian and Croatian regions. In 1918 Slovenes, Croats and Serbs banded together and declared themselves to be an independent state with the capital being in Zagreb. In 1929, King Alexander seized absolute power and abolished the constitution and proclaimed the Kingdom of Yugoslavia. Slovenia was, from the World War II to the 1990’s part of Yugoslavia, held under the firm but practical rule of a marshal, Josip Broz Tito . The greatest achievement of Slovenes in Yugoslavia was undoubtedly the establishment of the University in Ljubljana. Following Tito’s death in 1980, a major economic, political and social crisis emerged. With the increase in opposition between the ethnic groups and the up-rise of nationalist politicians, fragmentation of Yugoslavia within a decade became inevitable. And in 1991 Slovenia was the first state within Yugoslavia to successfully declare its independence. Slovenia joined the European Union and NATO on the 1st of May, 2004. Slovenia’s sophisticated capital Ljubljana with handsome churches, leafy squares and cool riverside cafés, spread out around its hilltop castle, is well worth a day or two of exploration. Outside the capital, Slovenia showcases her true natural charms; the beautiful Adriatic coastal town of Piran; the rolling vineyards of Jeruzalem-Ormož; the picture-perfect lakes Bled and Bohinj; the caves of Postojna and Škocjan; and the charming alpine village of Kranjska Gora. 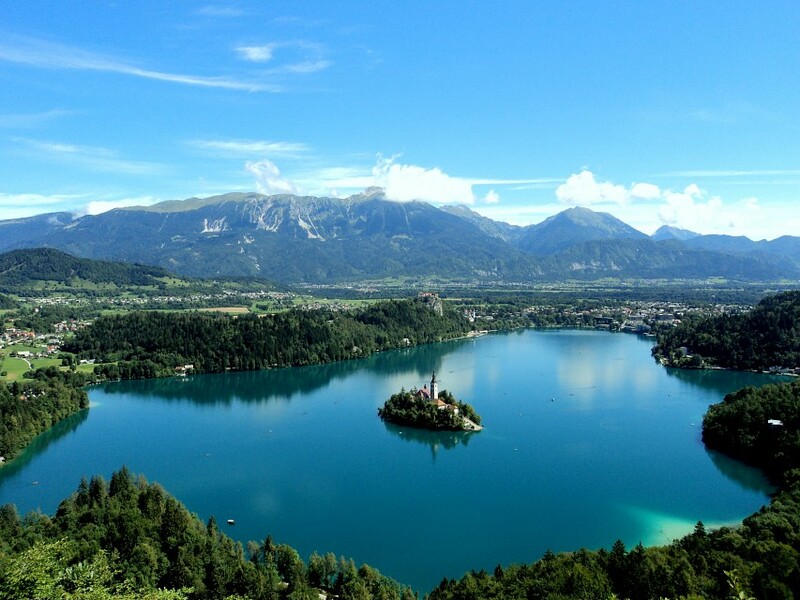 Lake Bled with a sweeping alpine panorama, fairy-tale island, cliff-hanging medieval castle, and lakeside promenade is the most popular resort, especially in summer. The most recognizable symbol of the lake, the tiny, tear-shaped Bled Island, can be reached with a traditional pletna or by renting a rowing boat. Just to the north of Bled is one of the greatest natural attractions in Slovenia, the mile-long Vintgar Gorge. 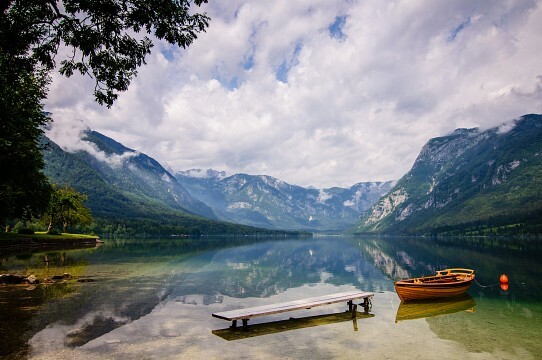 Nearby Lake Bohinj is less crowded, unspoiled and, in many ways, more authentic. If you are visiting Bohinj, take the cable car to the top of Mt. Vogel for panoramic views over Slovenia’s largest lake, Bohinj. 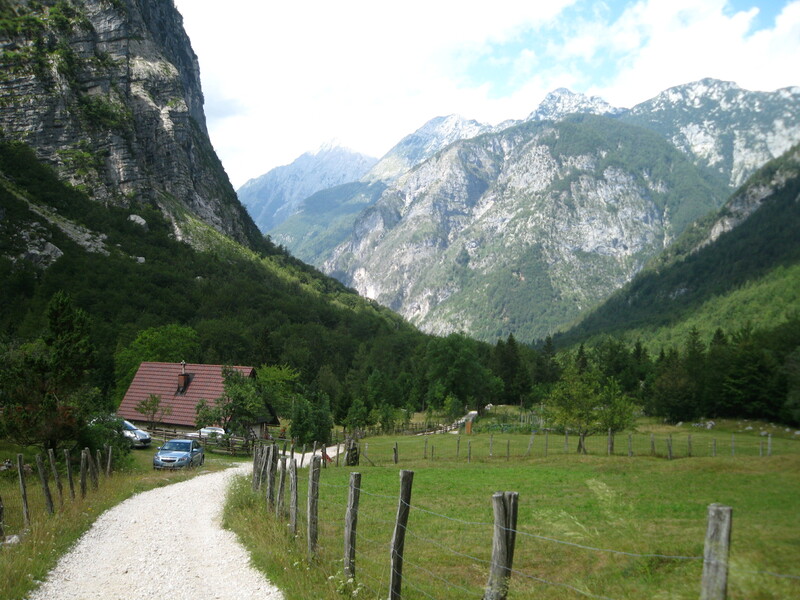 Slovenes are keen mountaineers and there's an extensive network of trails and mountain huts. 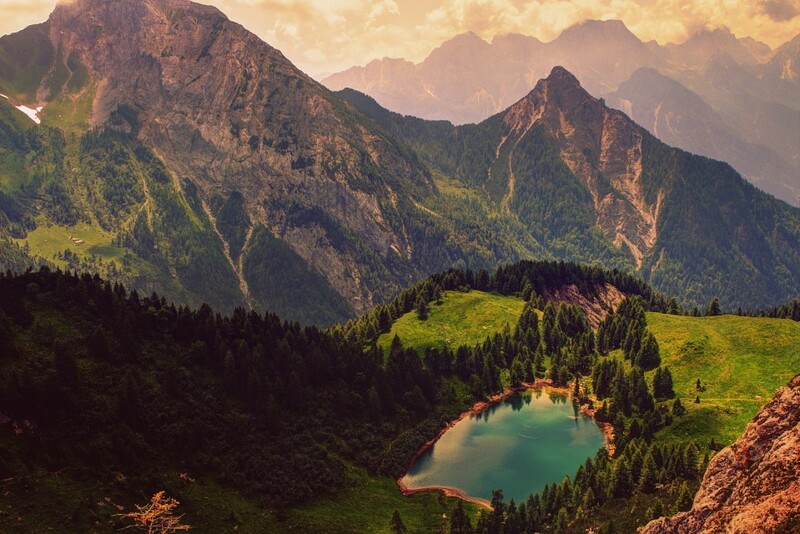 Triglav National Park covers the major part of the Julian Alps and features waterfalls, mountain ranges, and lakes and is a must-visit for all lovers of hiking, mountains, and nature. The Soča Valley is a water sports paradise. 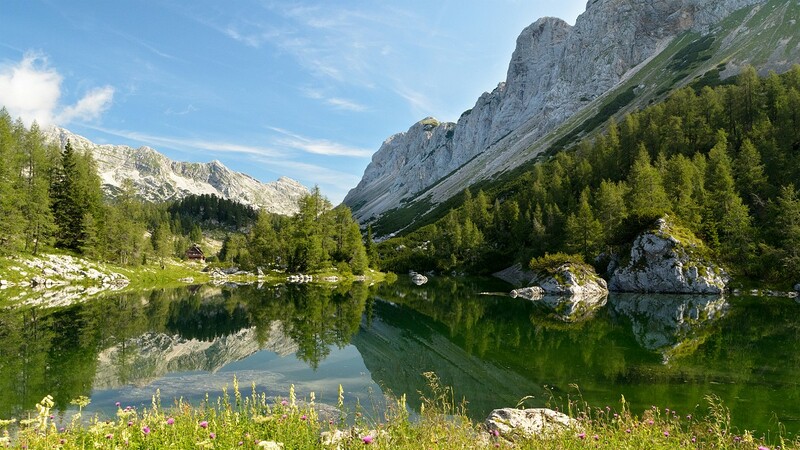 The region stretches from Triglav National Park to Nova Gorica. The emerald-green water of Soča river with picturesque gorges and wonderful streams, nearby waterfalls and verdant meadows is definitely worth a visit. Walking paths lead to natural sites such as the great gorge of the Soča river by the Soča path, Tolminka gorge, and the Kozjak waterfall. The Slovenian coastline is just 46km long. The coast's main pull, however, is its historic towns. 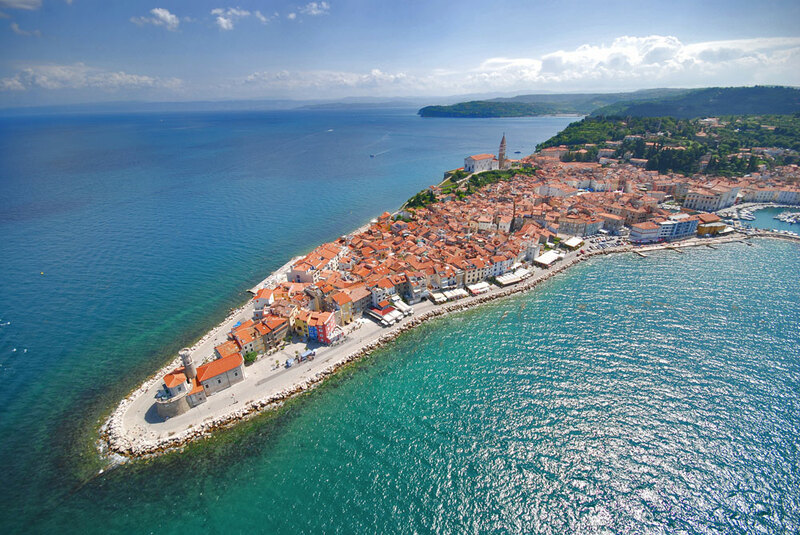 From Piran with its Venetian-inspired architecture, the most famous sea resort Portorož, to the port town of Koper with its pretty medieval core. A worthwhile excursion is to the saltpans in Sečovlje, where an interesting museum and visitor center document the practice of salt harvesting, which has been taking place there since the 14th century. Behind the Slovene coast lies the Karst region. 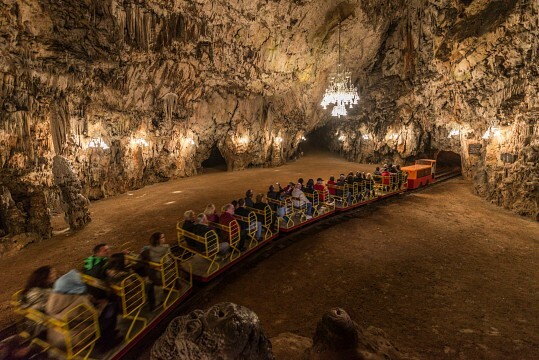 The gourmets’ paradise is also a heaven for lovers of the beauties of the Karst underworld. 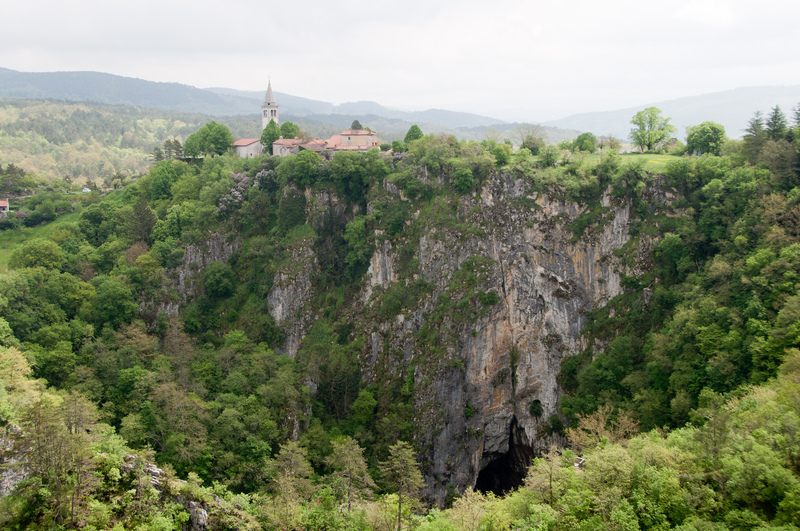 The Škocjan Caves, which are on UNESCO’s list of natural and cultural world heritage sites, boast the 1400-meter long and 150-meter deep underground canyon of the Reka River. 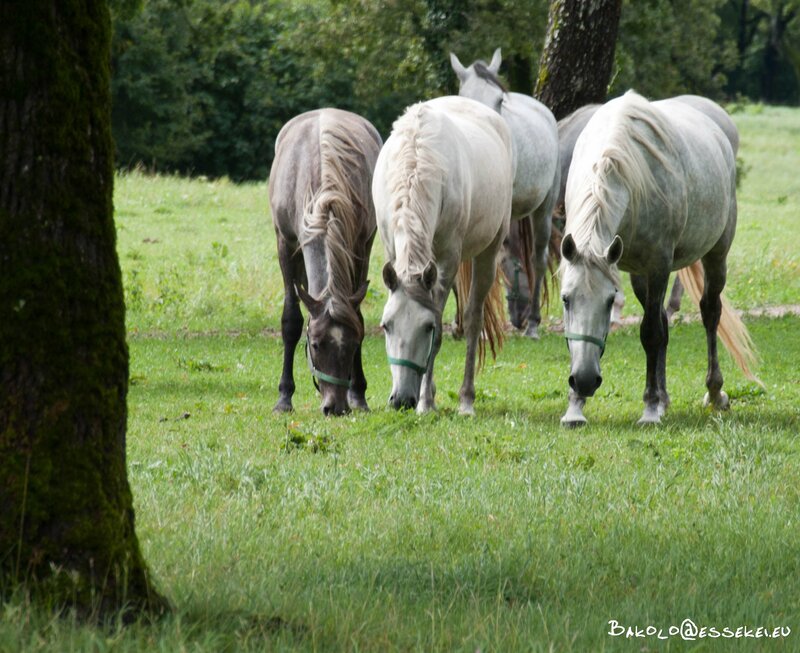 One of the main attractions of the area is Lipica, home to the famous Lippizaner horses, a must-see particularly for horse lovers. 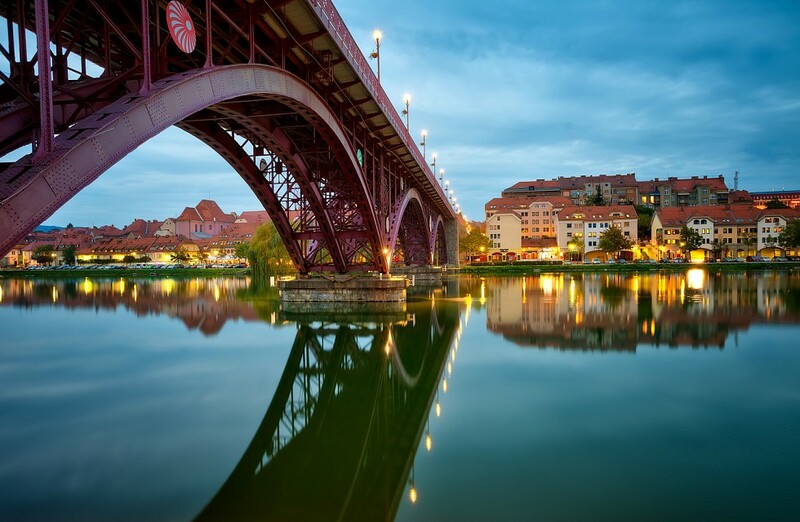 Maribor, the second-largest city in Slovenia, is pleasantly small and set between wine-producing hills and forested slopes of Pohorje, with the river Drava wending its way trough it. The symbol of the city is a plant - the oldest vine in the world, which has been producing grapes for 450 years. The unspoilt landscape of Pohorje is a popular summer and winter destination. It's a home to the famous Golden Fox Trophy, an annual World Cup women's alpine skiing competition. 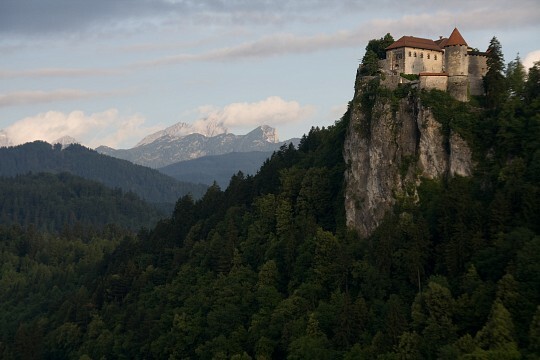 If you love fairy-tale castles than you have one more reason to visit Slovenia. 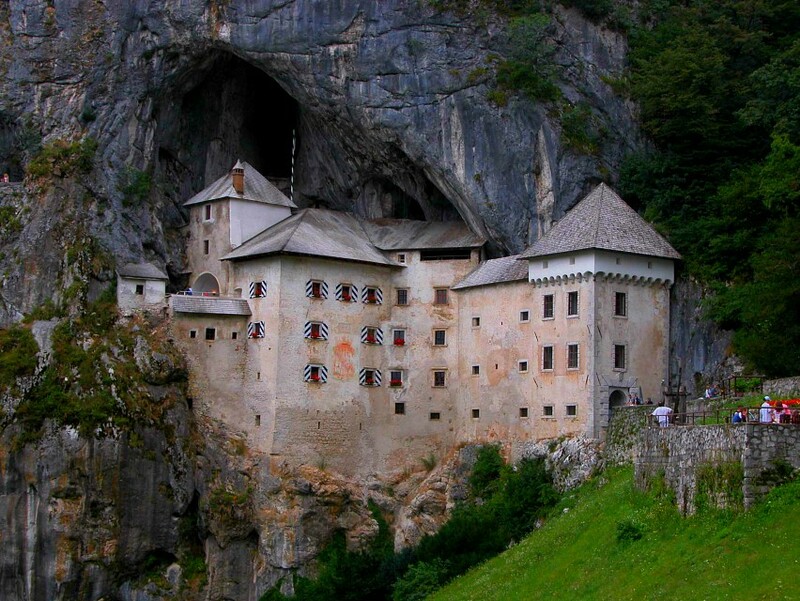 The outstanding Predjama Castle alone is a reason to mention castles among the highlights of Slovenia. Bled Castle, which stands on the top of the steep cliffs above the idyllic lake, has become one of the symbols of Slovenia. 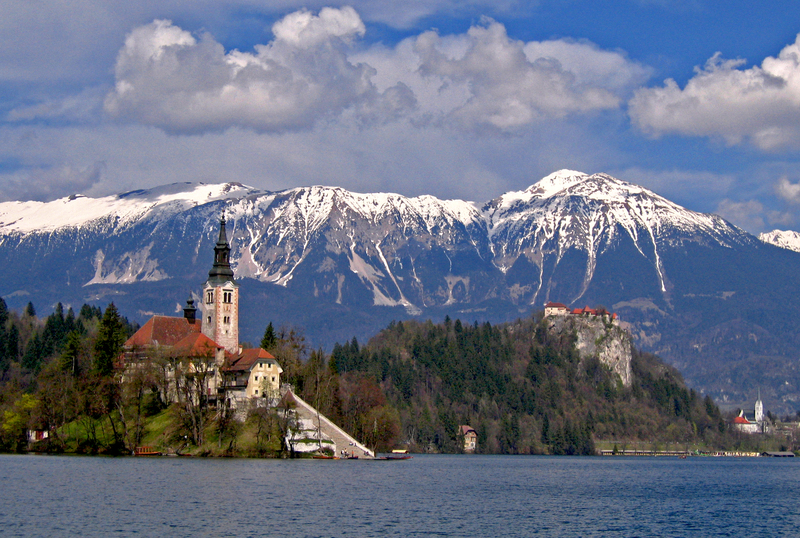 Snežnik castle is one of the most romantic ones. It is also the most well-preserved castle at Notranjska region. The people are friendly, helpful and welcoming. The official language is Slovene. Although the country is relatively small, there are over 32 different dialects spoken, which can be grouped into 7 larger dialect segments. English is widely understood, especially among the younger generation. Slovenes also have a good understanding of neighboring languages like Italian, German, Croatian, Bosnian and Serbian. The majority of Slovenes are Roman Catholic with small communities of other Christians including Eastern Orthodox; there are also Muslim and Jewish minorities. But like in most western countries, church attendances and religious activity are on a slow decline. Cultural life is rich and varied at the museums, castles and galleries. There are also professional opera and ballet companies in Ljubljana and Maribor. A great majority of Slovenians live in their own flats and houses and the share of homeowners is among the highest in Europe. The sense of 'home' is very strong and people put great effort in making their home and surroundings beautiful. If ever happens that you'll be invited to a Slovene home, don't be surprised when the host offers you slippers that are just waiting for the guests. The people are also very family-oriented evenings, weekends and holidays are usually spent with family. First names are only used among close friends and family, so don't use a person's first name until invited to do do, as this is considered rude. When speaking to someone in Slovenia your distance should depend on how well you know the other person. Generally, you stand closer to your family members and friend than to clients, colleagues and strangers. It is very important to make eye contact when talking to others, whether for personal or business purposes. People that do not make eye contact or avoid it are considered not to be trusted. Slovenians tend to separate their business and personal lives, therefore, try to refrain from initiating business discussions in social situations. Since independence in 1991, Slovenia's economic development has been very successful, especially during the period 1995 - 2008, economic growth in Slovenia was stable. 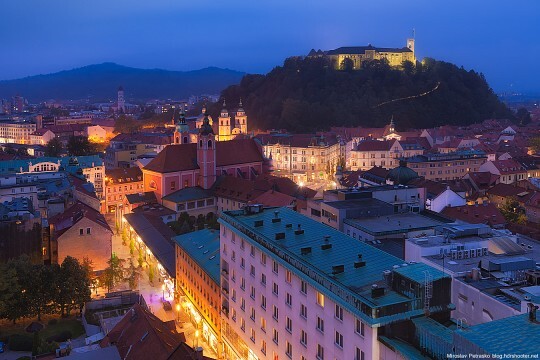 Long regarded as one of the most thriving countries in transition and one of the best-performing new EU members, Slovenia was dragged into a deep recession by the global financial crisis in 2012. 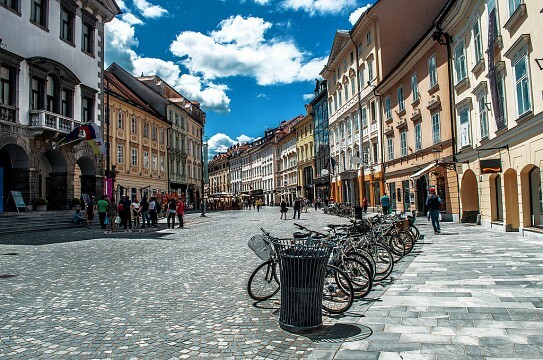 Although the Slovenian economy suffered as a result of financial crisis, the Slovenian government has been doing its best, despite all the difficulties, to improve the situation, trying to implement economic reforms. But the gap between the poor and the rich is still widening. There may be more of a visible class division in Ljubljana than in other cities and towns since it is the capital city. Many university graduates remain unemployed while an increasing number of young Slovenians decide to invest in a professional future abroad. Unfortunately, many important positions and jobs are only available to people with connections. Slovenian cuisine is varied and Slovene culinary heritage is reflective of Mediterranean, Alpine, and Eastern European cultures. Each Slovenian region has its own distinctive dishes, desserts and wines. The most famous Slovenian food include 'Jota'; a thick soup containing pork, sauerkraut and beans, 'Bograč'; a stew of mixed meats flavored with paprika, 'Ajdovi žganci' made with buckwheat flour and water, 'Matevž'; a side dish made of beans and potatoes and 'Štruklji'; dumplings filled with fruit, jam or cottage cheese. All sorts of salami and sausages are served throughout the country. Especially renowned are 'Krvavica'; black pudding sausage, 'Pečenica'; a fried sausage and 'Kranjska Klobasa'. The traditional Sunday lunch includes beef or chicken soup with homemade noodles, pork or veal roast, sauteed or roasted potatoes, salad and potica or strudel for dessert. There are three main desserts that are popular throughout Slovenia: Orehova Potica ; a delicious ‘nut roll’ style cake, Kremšnita; a vanilla-custard-and-cream cake and Prekmurska Gibanica; a kind of layered pasty cake containing apples, nuts and raisins and ricotta. While there are plenty of and fine dining restaurants, the Slovenia’s best eating establishment is called 'gostilna'. The best choice for bargain snacks are the many kiosks and stands in bigger towns, selling burek, hot dogs and kebab. If you are a wine lover visit Slovenia during fall. The grape harvest concludes with the blessing of the season's young wine on St. Martin's Day in November. Beer lovers can try the two Slovene beers - Laško and Union. Tap water is considered safe and drinkable throughout the country. The Jože Pučnik Airport, 16 miles from the capital Ljubljana is the main Slovenian airport. Slovenia's national carrier, Adria Airways, has regularly scheduled flights over 20 European cities. There is no traveling around by plane in Slovenia, as the distances are too small. However, there are scenic flights that are well worth taking. Domestic train network is fairly extensive, inexpensive and reliable. Both, domestic and international trains arrive at and depart from central Ljubljana’s lone train station. Slovenian Railways is the only rail operator in Slovenia, and all its timetables can be found on its website. Tickets can be bought at any railway station, or on the train. Buses are slightly more expensive but more frequent than trains. The bus network is also more extensive, allowing access to more remote destinations. Bus tickets can be bought from the driver. Travelers should be aware that many buses operate at reduced timetables on weekends, so it is a good idea to plan ahead. Slovenia has excellent roads and traveling by car around the country is very straightforward, with the roads clearly and well signposted. Be smart when driving and stick to the rules: 31 miles/h in towns, 56 miles/h on regional roads and 81 miles/h on motorways. The alcohol limit is 0,5 ‰. Dimmed headlights must be turned on at all times while driving. To drive on Slovenian motorways, you must buy and display a ‘vignette’ (toll stickers). There are 24-hour service stations and petrol stations on the motorways. Petrol stations are also common in the cities and in smaller towns. 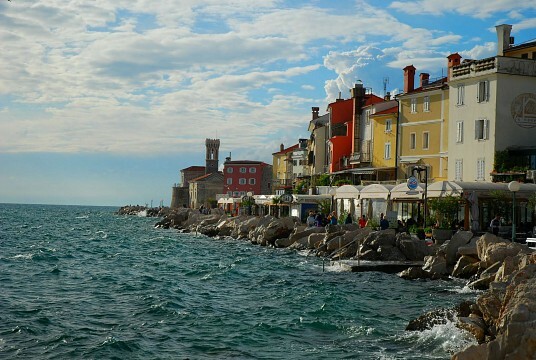 The climate in the coastal part of Slovenia is determined by the Mediterranean Sea. Its inland climate ranges from mild to hot summers, with cold winters in the valleys and plateaus of the east. Spring sees bursts of wildflowers and autumn brings gorgeous reds and oranges. In the mountains there are two distinct seasons – snowy cold winter is dedicated to skiing and chill summer to hiking,climbing, mountain-biking and rafting. Slovenia has a wide range of interesting events and festivals, attracting world-renowned artists and performers. 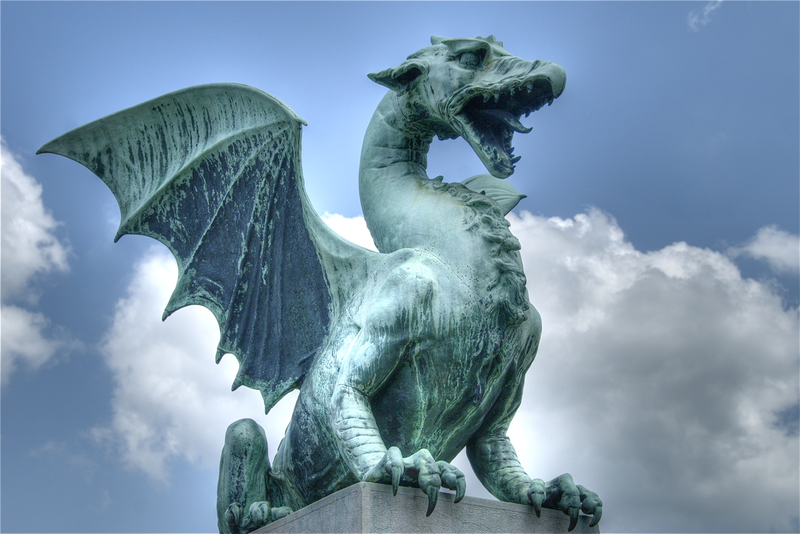 Ljubljana is home to Cankarjev Dom, which offers a huge range of events throughout the year. Major skiing and ski jumping events are held every year at Mariborsko Pohorje, Kranjska Gora and Planica. The Women’s World Cup Slalom and Giant Slalom Competition are held in January, followed by the Ski Jumping World Championship in March. Every October, Ljubljana marathon attracts thousands of sportsmen. Ljubljana Summer Festival; a celebration from early July to late August of music, opera, theater and dance held at venues throughout the city. Ljubljana Jazz Festival; in early July famous names of international and Slovenian jazz are presented. The stage is located at Cankarjev Dom and Križanke. Ljubljana International Film Festival (LIFFe); a specialized competitive festival that features an overview of contemporary world film production. Maribor's Lent Festival; a two-week celebration of folklore, culture and music from late June till early July throughout the Old Town. 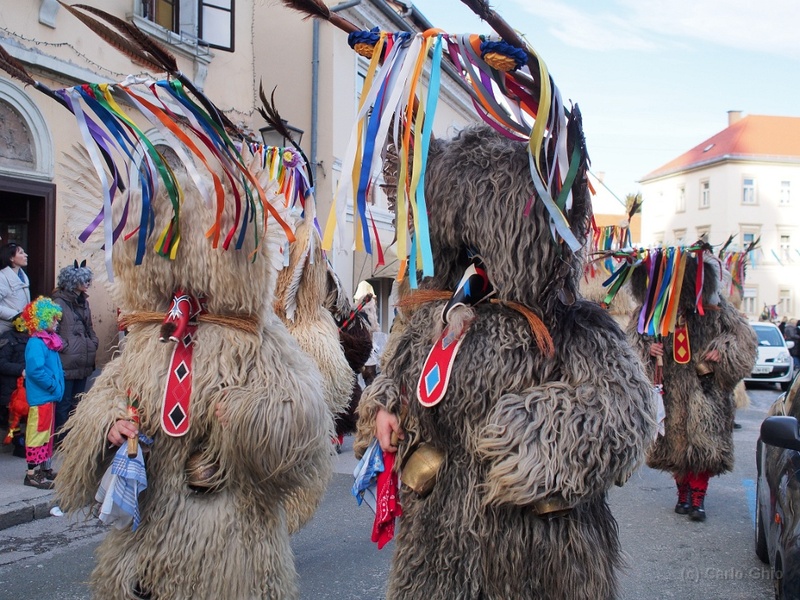 Kurentovanje; a traditional carnival event in Ptuj takes place in February and extends up to ten days, carnival is an unforgettable experience also in Cerknica with Zofka the Witch. Tartini Festival; a festival of classical music takes place in venues throughout Piran, from late August to mid-September. Before planning a trip around a festival, verify the festival dates on the festival’s website or with a local tourist office. Overall, the Slovenia is a safe country to visit. Slovenia’s overall crime rate is low, and violent crimes involving tourists are rare. Most crimes such as purse snatching, pick-pocketing, and unoccupied vehicle break-ins are non-violent and directed toward obtaining property. There are no off-limit areas, but as in any other country in the world, keep an eye on your belongings in crowded areas, train stations, restaurants, open markets, and public transportation. Although tipping is not obligatory, it is polite to round the bill in restaurants, cafes and bars. Greetings are initially quote formal and reserved. If invited to dinner at a Slovene’s house, it is considered good manners to bring flowers to the hostess and a bottle of wine to the host. Calling for a taxi is free and the fare will be cheaper than hailing one from the rank. In the summer, ticks can transmit encephalitis, Lyme disease and meningitis. Use tick repellents and wear long sleeves if hiking in the woods. Don't refer to Slovenia as Eastern European country. It's a central European country on the southern side of the Alps. This mistake can cause offense, especially among the younger population.